Every beer lover (local and visiting) has to eventually make a trip the Kona Brewery and Pub on the Big Island. Aside from the picturesque bar with a wide array of beers you can only find in the Kona pub, you’ll also want to take a tour of the brewery around back. There you may run into Anthony Bledsoe, the head of brewing operations, who oversees all of the beers brewed in Kona. I grew up across the bay from San Francisco, in the east bay. I have been a craft beer lover since my first Sierra Nevada Pale Ale sometime in the 1990’s. It was our local brewery when I was growing up and when I finally got to try some, I remember being so impressed with how they attained the balance of taste with the hops. How did you get started homebrewing? What was the first beer you brewed and how did it come out? The first beer I brewed was a Brown Ale and it was drinkable, but far from perfect. While earning your degree in Microbiology at UC Davis, did you know you wanted to be a professional brewer? I wanted to be a clinical lab scientist, but I first had to take additional courses to qualify for that position. I landed a job at a small brewery in Berkeley and then returned to UC Davis and the school’s master brewers program. What led you back to UC Davis to complete the Master Brewers Program? I knew I needed an in-depth education on all of the scientific and engineering factors that go into making quality beer and not all universities offer such a strong program as Davis does. I think I was lucky to have been born and raised on the West Coast where brewing truly is a science. What was your first job in the craft beer industry? At a small brewery in Berkeley called Trumer Brauerei. How did you end up at Kona Brewing Company? 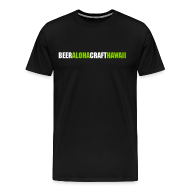 When the original Kona brew master headed back to the mainland in 2009, Mattson Davis, president of KBC, was looking for someone with a strong science background to head up the brewery operations and he liked my microbiology foundation. I started at Kona Brewing in 2009, first performing quality assurance before taking on my new position as Brewing Operations Manager, where I oversee the team charged with making the company’s beers. What are your favorite KBC beers to brew and why? I am a fan of really high quality, local, domestic German style Pilsners. As for Kona’s offering, I like session beers like my favorite–Big Wave Golden Ale with a 4.9 ABV. Are there any beers that are brewed only for the Kona pub that are not available anywhere else? Every other Friday we tap a firkin that you won’t be able to find anywhere else. The last one was an IPA brewed with orange and lime. We’ve done things like “Lava Rock Spice Ale,” a combination of Lavaman Red Ale and Fire Rock Pale Ale cask conditioned with allspice, offering hints of cloves, cinnamon and nutmeg. Our Dark Side IPA pairs two pub favorites, Castaway IPA and Black Sand Porter, together in a firkin conditioned with alchemy hops. 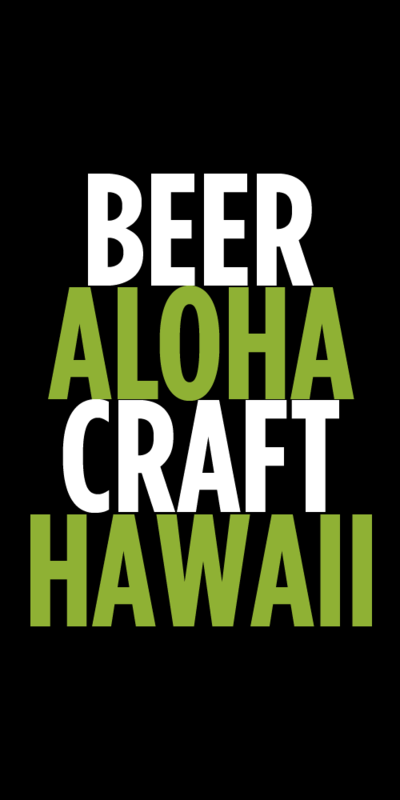 These beers are brewed and served at the Hawaii pubs only: Duke’s Blonde Ale, Castaway IPA, Black Sand Porter, Hula Hefeweizen, Lavaman Red Ale. We’ve got 19 taps at the Kona pub here, and 18 in the Koko pub, so they’re always filled with seasonal brews like Da Buzz Grind Imperial Stout that people can only find here in Hawaii. I like to think we help tourists have a more special time on their vacation, and that locals get to enjoy something truly original and spectacular in modern brewing. Favorite local ingredient to use in a beer? And any interesting ingredient you’ve been wanting to try in a beer? Our Rift Zone Ale is fermented with a yeast strain discovered in the rifts of Volcanoes National Park and infused with Nelson Sauvin and Pacific Gem hops from New Zealand. I think that’s pretty fun to use. I like brewing with anything new to me! Sierra Nevada Pale Ale was the first craft beer I enjoyed so they were the first in forming my opinions on brewing craft beers. When you’re not brewing, what is your favorite thing to do in Hawaii? I love taking my jeep out to remote beach locations and setting up my hammock. Tags: Anthony Bledsoe, Interview, Kona Brewing Company. Bookmark the permalink.